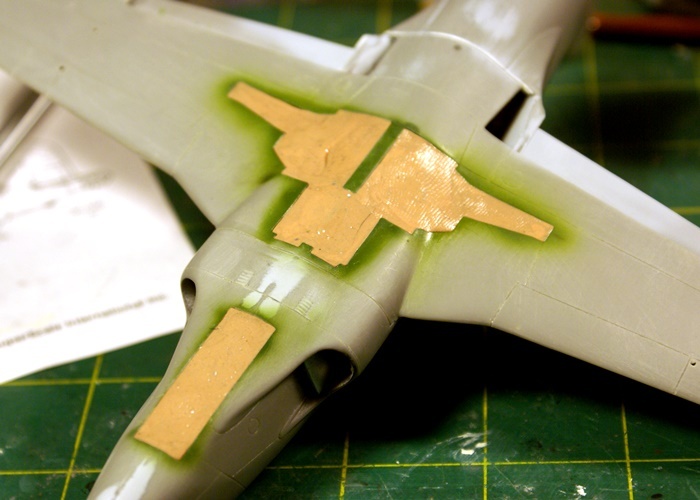 Doing one of Eduard's wonderful 1/72 series- an F-6fN. It's time to start painting and I am dreading dealing with the wheel wells. The wells are well defined and I hand painted them to start with...but what do I do now? I just know that Tamiya tape will not stick well enough and there are lots of sharp turns. Do I paint the wings and hand paint the wells afterwards? How about liquid mask? What are your thoughts in terms of techniques/products? I like to use poster putty (poster tac...blue tac). It is very handy stuff to have around. I mainly use it for masking camo patterns (leaves a nice, soft edge). It's every bit as good for masking gear wells too! It's pretty sticky when new, and is a bit of a pain to remove all of it, but once it gets some paint mixed in with it, that problem goes away. I thought they were blue like the wings? Hmm- the instructions do call out for navy blue. However- I don't know why they would spray paint up in the well following assembly. I assumed that it would be zinc chromate (green) primer like the rest of the interior. Ahh- looks good. I'll have to try it. Thanks! With the all over Navy Blue scheme...yes, the wells are the same as the outside. For the tri-color schemes...white, just like the belly. Can also get them cheap foam paint bushes pull them off the handle and stick in the wheel wells they will form to hole. I use wetted out toilet paper. It feels all gooey but u simply press it into the well and let it dry over night. Then the edges can be filled with poster tac if you want. When paint is dry simply pull out the now dried paper plug. Works well and does not affect the paint in the well....unless you used acrylic, I dont know how wet paper will soften it ?? I alwys paint with enamel. I use a combination of poster tack and facial tissue. A slight dampening of the facial tissue allows you to mold it down into the depression so none sticks out to mask paint spraying. I use a little poster tack to hold the tissue in the well. 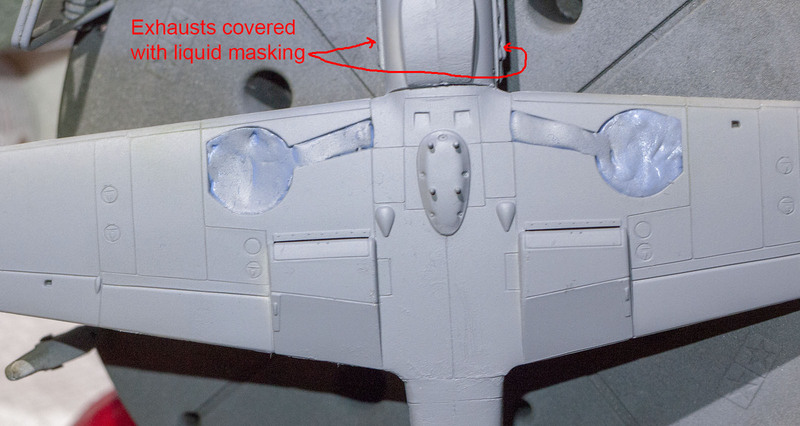 I also use facial tissue to mask cockpits. Yes, the USN/USMC in WWII usually had their aircraft wheel wells painted the same color as the matching surrounding external area when built at the factory. Light Gray, White, or Sea Blue depending upon the scheme of the time. As to the original question, I like to use the wet toilet paper technique already mentioned here. Silly Putty is another option. Me too. Except I've switched to using tissue paper (like the stuff fancy gifts are packed in, not "Kleenex") because the toilet paper and/or facial tissue sometimes leaves some fuzzies behind. Silly Putty is my go to for jobs like that. I second Silly Putty. It comes out easier and cleaner than poster putty. 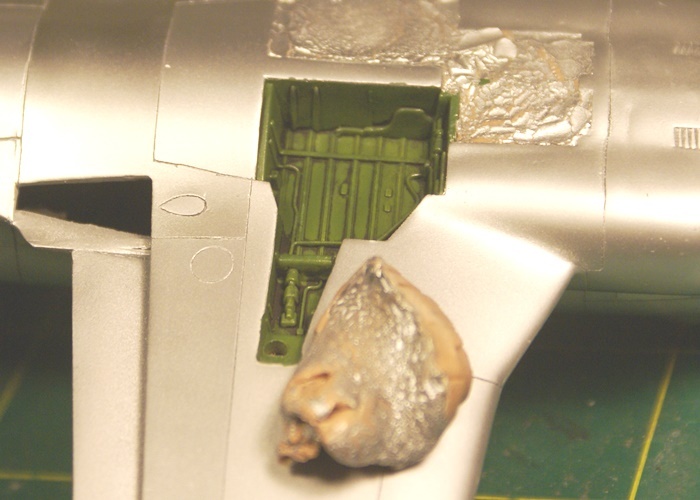 When possible, I like to press the gear doors into the SP to paint them at the same time as the underside of the fuselage. It's pretty sturdy stuff. Here are a couple of shots of when I used it on my F-80 under Alclad primer and paint. Lots of good ideas here, particularly the one that says no masks needed ;) I stuff tissue in and really poke it in with a toothpick. The mask over the tissue and cut trim with an exact. I get a little overspray on occasion but easy to touch up. I do the same with cockpits and cowls. Silly putty is what I use. Super easy. 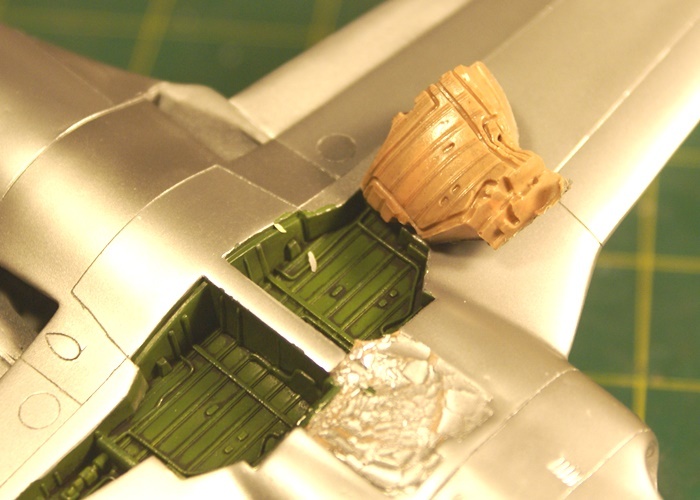 Although I haven't built any 1/72 aircraft - only 1/48 and, shortly, 1/32, I am a Silly Putty believer! I actually bought a pound of the stuff (blue color in a BIG blue egg!) so I obviously find it easiest for me to work with. I know, I know ... I'm nuts to have bought so much but I like the stuff. I transfer the blue stuff to the smaller egg I have to work with on the bench. I'll have to try silly putty. Btw I found a 5 lb blob!!! 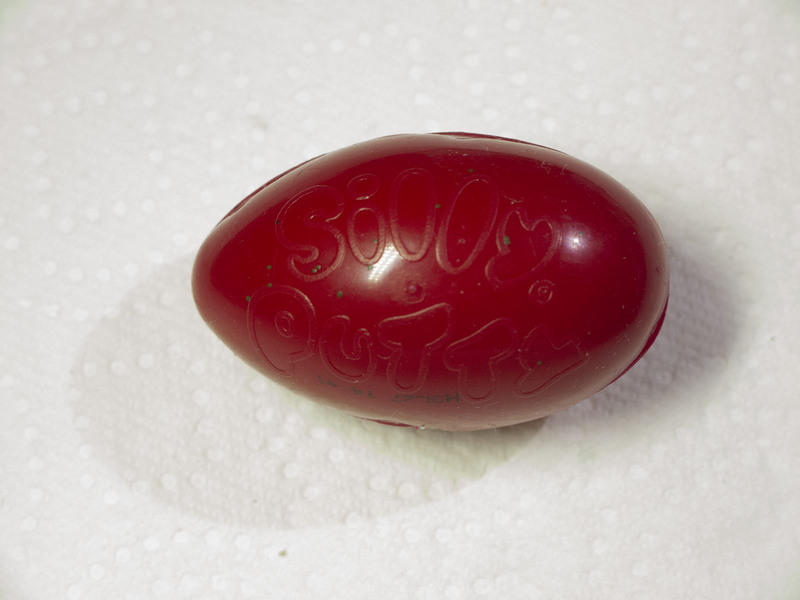 Here's another vote for silly putty. It's your friend indeed.